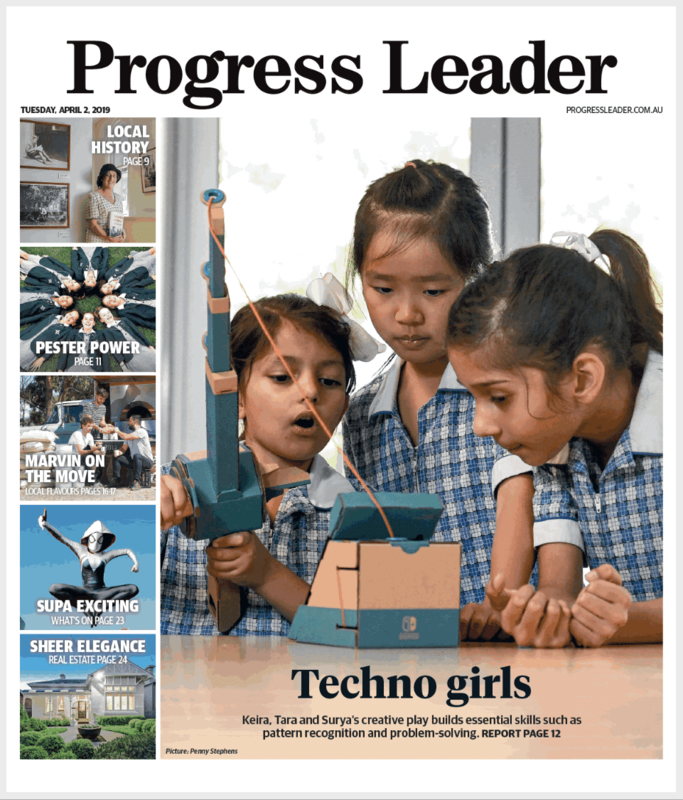 In the media: Progress Leader, 2 April 2019, front page & page 12. 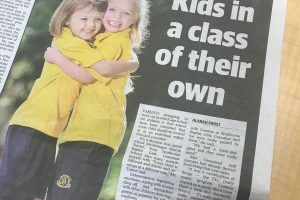 Strathcona Baptist Girls Grammar students have been treated to a fun workshop that bridges the worlds of video games and learning. 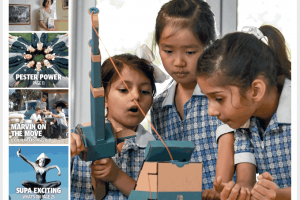 The Nintendo Labo Creators Workshop combines Nintendo Switch and Nintendo Labo console play with science, technology, engineering, art and maths lessons. 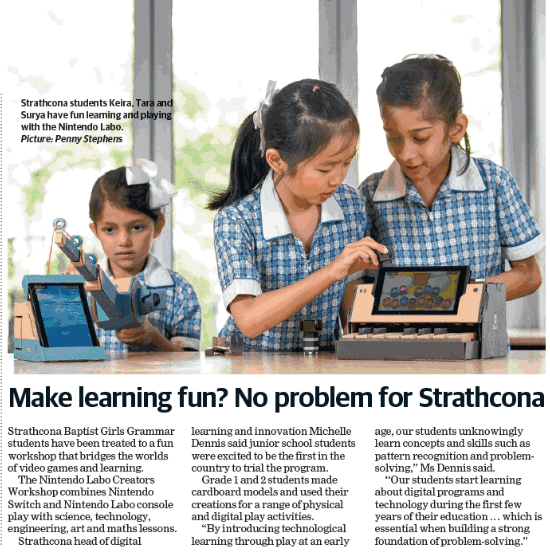 Strathcona head of digital learning and innovation Michelle Dennis said junior school students were excited to be the first in the country to trial the program. Grade 1 and 2 students made cardboard models and used their creations for a range of physical and digital play activities. 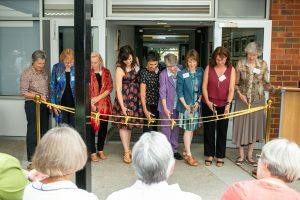 “By introducing technological learning through play at an early age, our students unknowingly learn concepts and skills such as pattern recognition and problem solving,” Ms Dennis said.